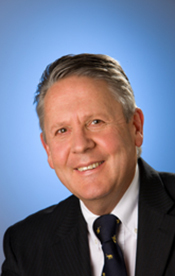 After a successful career in the Australian Defense Forces, Wayne joined Melbourne’s RMIT University and became the head of the Department of Aerospace Technology in 1991. Wayne joined the Victorian Government in 1995. He was responsible for the Government’s investment attraction and business development programme for the aviation industry. In 2001, Wayne was appointed Director of ICT Investment & Business Development at Multimedia Victoria. Wayne was instrumental in the development and negotiation of a whole of Government MOU between the Victorian Government and the Indian State of Karnataka and managed a wide range of investment and trade projects in India. Due to his Indian business experience Wayne was appointed as the Victorian Government’s first Commissioner to India in November 2005.Following his appointment, he spent over two years establishing the Victorian Government’s trade and investment office in India. This entailed the creation of an office in Bangalore, recruiting and training a team of investment and trade professionals hired from some of India’s leading organisations. In early 2008, after two years living in India, Wayne returned to Australia with his wife Bryony to take up the new position of Director of Government Relations for Deakin University in Victoria. At the end of 2008, Wayne returned to the Victorian Government to lead the Department of Innovation, Industry and Regional Development’s Trade and Industry Division and was appointed Deputy Secretary, Industry and Trade and Chief Executive Officer of the Victorian Government’s international investment agency, Invest Victoria.